Finding flights is among the more stressful aspects of planning travel. When you press purchase on that flight, it represents not only your trip, but hundreds (thousands?!) of dollars, too. There is no fool-proof way to ensure that you always find the lowest fare, but there are certainly tactics and opportunities to lower your total airfare on any trip, and particularly during long-term travel. Of note, if you’re debating about booking a round the world ticket for an upcoming long-term trip, the Round the World Flights: A Cost Comparison delves into the issue, offering heaps of resources and ideas. 1. Fly on a Tuesday or Wednesday. The best time and day to book flights is actually thing! Being strategic can save you a lot of money. Since most travelers leave on the weekends, including business travelers, mid-week travel is often steeply discounted. At least 80% of my flights these past eight years have departed mid-week. The other times I search for Saturday evenings flights, or off-peak times. If you’re scheduling time off of work and you’re on a budget, see what it would take to leave mid-week instead of on a weekend. 2. Use the “flex days” search feature. Kayak and other booking sites allow you to search for a set date, and then “+/-” up to three days. Then the results will show a fare calendar of which dates are the most affordable for your planned route. 3. Fly to a hub and then take a budget airline or overland transport. Identify the primary “hub” airports near my destination, then select a mid-week, flexible date to begin the research. Input date and hub airports into Kayak, then use the flexible date feature to view a grid of the fares for that week. Repeat the process using Skyscanner (which also searches budget carriers), the search within my rewards cards program (I use Chase and have found amazing deals in the Chase search engine), and then if it’s a multi-stop journey I plug the dates into Indie from Bootsnall (which often finds alternative routes and fares combining differing airlines on each leg of the journey). I spend at least 20 minutes playing with the dates and potential airports, then I select the best flight and go to that airline’s website and research that exact time and flight—compare to see if the airline is offering it for cheaper. Use Google Fare Calendar to research that flight time again, and see if now is a historically good time to book the flight, or if you should wait a bit longer before booking. Seasonal changes in flight prices can seriously impact your fare. If I have found a fare that seems seasonally appropriate and hits the date and time that I need, then I book immediately so that the fare won’t increase while I sleep on it. You have 24 hours in the U.S. to cancel any flight, so it pays to trust your research and book the flight. Kayak: I usually start here for my flight searches to get a baseline on the costs, then I move on to the search engine that pull in some of the low-cost carriers. Indie from Bootsnall: While generally a round the world flights finder, it works well to research for any multi-stop journey. Bookmark these steps and use my process to research your next flight. While I am no wizard, it’s a process I have refined over the last decade, and I’ve always found great flights using it. If you haven’t learned about travel hacking yet, that’s a worthy topic for research. With travel hacking, you can use rewards cards to earn points that can drastically decrease your fares, and offer perks too. 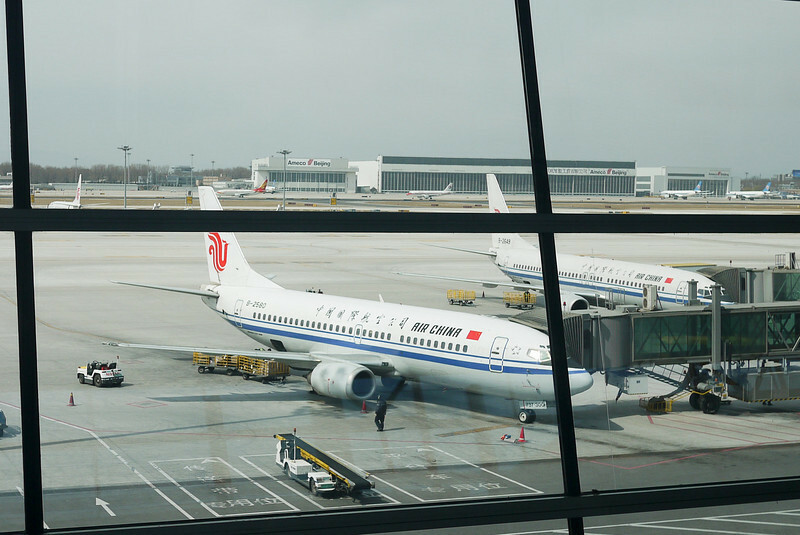 I lightly travel hack with the Chase Sapphire Rewards card (here’s how I chose my credit cards for travel), and it generally saves me $600 to $1,000 per year on flights since I fly internationally on points rather than cash.